New this year from Next Level - a take on the classic ringer tee for men. 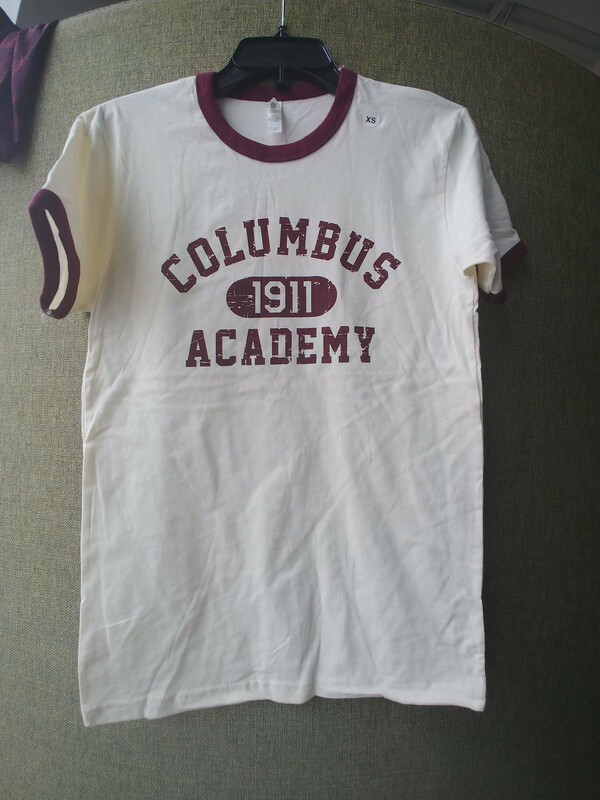 This is a ringer style t-shirt with maroon cuff and neck trims. 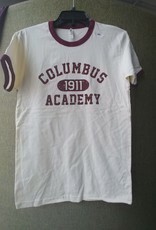 The classic Columbus Academy 1911 logo is printed in maroon on the front. A nice way to show your Viking Pride!